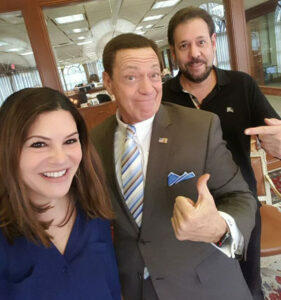 Perillo Tours is excited to announce that this October, comedian and radio host Joe Piscopo will be accompanying a very special Perillo Tour to Italy! This is basically Perillo’s popular Vesuvius Tour but with two additional elements: an extra day in Sorrento and a new travel friend will come along – Joe Piscopo! We depart October 19th for 11 days…in Rome, Pompeii, Sorrento, Florence, Tuscany and Venice. Seriously…Joe Piscopo will be along for the entire tour. And he will be performing for us at a dinner show in Rome as well. Perillo Tours VP Diana Ferro put together this once-in-a-lifetime trip. Click here for all the details on Tour Italy with Joe… For the extra day in Sorrento you can choose to join Joe on a day trip to his hometown of Avellino or take a mozzarella-making class, followed by lunch. Call 800-431-1515 to book your trip.